Dell aims at giving its customers a very basic, affordable and yet high-quality colour laser printer. A very simple design, good quality prints at a good speed, that seems to be the formula Dell 2130 is made with. The printer comes with a maximum resolution of 600 x 600 dpi, while this may seem less on paper, the print quality is very good, keeping in mind the low resolution and the low cost of the printer. The print speed varies between 20 ppm for monochrome to 16 ppm for colour printouts. The 4 Dell 2130 Toner Cartridges claim a good life, with black capable of 2500 pages and all the other 3 coloured cartridges claiming 1000 pages per cartridge. This combined with a heavy duty cycle of 40000 pages per month indicate a robust machine, ready to serve the needs of a medium sized office. The connectivity is through LAN and USB, which limits its functionality a little. The input tray is of 250 sheets with an option of an additional tray which can take the capacity to 500 sheets, both being good numbers further cementing its intention to be a heavy duty machine. In effect, a 1000 print run would need just one refill of papers, and no refill of ink with Dell 2130 Toner Cartridges serving well for 1000+ prints. Dell cartridges are costly and thus the cost of operations come on the higher side. The most interesting feature of the printer is its shape, looking like a perfect cube, the Dell 2130 scores high on style, though the printer is a bit on the heavier side and certainly needs a separate table for itself. The odd design, however, makes it a big large, and take its footprint on the high side. This is a very robust printer intending to serve a mid-size office.It has a heavy duty work cycle, good input capacity, good speed along with good print quality as well. The offices these days have moved beyond the LANs and thus the lack of a wireless connectivity option does not serve it well. The Dell 2130, by all means, is a good printer for a small to the medium sized office, and the addition of a wireless option would get it near perfection. How to resolve the print quality problems of Dell 2130 printer? Step1: The toner cartridges may be low or need to be replaced. Confirm the amount of toner in each toner cartridge. This may affect the print results, as usage of low-quality cartridges degrades the quality of the printer. On the advanced tab, ensure that the toner saving mode check box is not selected. For this on the Paper/Output tab, change the paper type setting. Step5: Verify that the correct print media is being used for printing purposes. Refer user manual for the supported paper sizes. If not, use the print media recommended for the printer. Step6: Ensure that the developer motor functions properly. Step7: Ensure that the dispense motor for each Dell 2130 Toner Cartridge functions properly. Q. Is there a downside of using Compatible Dell 2130 Toner Cartridges? A. No, in fact there are a number of benefits, not only are you saving money, the ink and toners we use are specifically formulated to match that of the original cartridge, thus the print quality is guaranteed to be as good, if not better. There are also significant benefits for the environment too. Q. What if I face a trouble while using the cartridges bought from your site? A. We will talk you through a few steps to determine if the problem is machine or cartridge related. If the problem is a bad cartridge we will either replace it or refund your money. Above all we will try very hard to solve your problem and keep you happy. Q. What if I've tried shaking the cartridge and it doesn't help? A. It might be possible that the drum in the cartridge has gone bad or the Dell 2130 Toner Cartridges you’re using are low on ink. If shaking the toner doesn't help it means the cartridges need replacement on urgent basis. Q. What delivery carriers to you use? A. We at Printer Ink Cartridges are committed to on delivering all the products on time. All our deliveries for the orders are accomplished by Fastway Couriers. Our courier partners tend to deliver all the products on time and approximately 90% of the orders that are received before 12 noon are despatched on same day and delivered within 1 - 2 delivery day basis with Fastway Couriers. Q. Can You deliver the Dell 2130 Toner Cartridges to me in Galway? A. Yes, we do deliver the product in Galway. Q. I have heard a lot about Dell’s Recycling Program recently. Do they accept all types of Dell 2130 toner cartridges and inks from different brands for recycling? A. Sorry. Dell’s comprehensive Recycling Program accepts only the toner and ink cartridges that are manufactured by Dell. However, they do accept all kinds of printers and computer hardware for recycling from other brands. Q. My Epson printer allows me to continue printing with black when the colour cartridges are empty. If I purchase Dell 2130 will it provide me the same facility? A. Of course. Dell Laser Colour Printers are one of the first to design printers that are capable of printing only with the black toner when the colour toners run out. If you purchase Dell 2130 it will enable you to perform printing with the leftover black toner without any hassles. Q. I cannot find a comprehensive pack of compatible Dell 2130 toner cartridges on your website. How do I place my order? A. You can place the order for individual toner cartridges i.e. black, magenta, cyan and yellow together as displayed on the page above. Q. How can I save on my Dell 2130 toner cartridges while performing printing? Do Dell printers offer any specialised tool to cut down the ink usage? A. Yes. Dell offers a specialised colour-control tool known as the Dell Colour Track 2.1 that enables the user to monitor and control the ink and toner usage while printing. This tool is available in the Dell Printer Configuration Web Tool that will allow you to enable, disable and set limits for your printing requirements. Additionally, the Web Tool provides users the option to monitor toner levels and all types of print jobs anytime remotely. Using this option assures huge ink and toner savings depending on your print needs. Q. Can I know what colours are there in the Dell 2130 toner cartridges set? Is the quality of printouts these compatible toner cartridges create really up to the mark or are original toner cartridges better? A. The toner cartridges set of Dell 2130 offers four colour compatible cartridges: Black (330-1436), Cyan (330-1437), Magenta (330-1433) and Yellow (330-1438).The print quality of all the images and documents these Dell cartridges provide are the best and are well-known for the crisp, vividly sharp printouts they take. Q. Are Dell 2130 toner cartridges high yield cartridges? Can i really depend upon them to compile professional quality print out at work without risks of inadequate outcomes? A. Yes. These toner cartridges manufactured by Dell are high yield cartridges; they print more pages than regular toners do and also save more money. In addition to that, they give the finest output and results, which people all over the world increasingly switching over to. Compatible toner cartridges may not be manufactured by reputed names whose printers you use and using original cartridges may naturally seem preferable, but compatible ones are as good in every aspect and in face more cost-effective. Q. Is it easy to set up the Dell 2130 toner cartridges? What if I don’t want to replace the four cartridges at once? A. Setting up these cartridges in the printer is simple and easy. It is alright if you don’t replace all the four cartridges at once because they can even be stored for up to three years. Q. I recently purchased three sets of Dell 2130 toner cartridges for three Dell 2130 printers at work. However, one of the printers has been sent to another location, due to which I'm left with one extra set. Could you please tell what conditions would be conducive for their long-term storage? A. Your extra set of the Dell 2130 toner cartridges can be functional for up to three years. You need to ensure that the cartridges do not come in direct contact with sunlight and remain in low humidity environment. Ideal temperature range for them is between 0°F and 100°F. Q. I wish to try out compatible toner cartridges for my Dell printer (Dell 2130). Do they come with formal certification like compliance with authentic performance standards? A. We stock compatible toner cartridges that have been manufactured in compliance with ISO 9001 and various other performance standards. In addition to that, you also get updated warranty replacement within 30 days against defective or wrong items purchased. Q. My Dell 2130 toner cartridge just got empty and I need to dispose it responsibly. How do I go about i? A. It’s very considerate of you to think about responsible disposable of your empty toner cartridge. Dell facilitates it for free for you; all you have to do is pack the cartridge in an envelope or box, log on to the Dell Recycling page and carry out a simple procedure that’ll get your product ready to be picked or dropped as per your convenience. 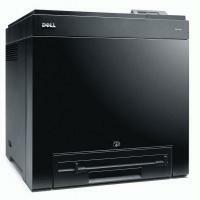 Q. I just bought a Dell printer but don’t possess much of technical knowledge. Will I be able to carry out tasks like replacing cartridges easily on my own? A. Absolutely. There are several users who have limited technical background but are still able to carry out important functions independently as they are simple and uncomplicated. It will make functions like replacing toners simple for you to carry out yourself. Q. Is Dell focused on being eco-friendly? I’m very particular about this cause… What are some steps taken by the company in that direction? A. Yes, Dell is sincerely committed to eco-friendly practises which can be achieved by its users also with ease. Dell supports recycled paper and carries out several other steps that cut down on use of material.